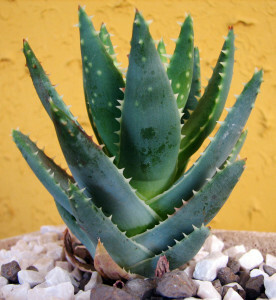 It’s a really hot day and you walk around all day and your thighs rub together… At the beginning, it’s all right, as long as you don’t walk too long. But the spectrum of chafing is lying in wait. When you’re away on a vacation, with little time to see and do everything, you don’t want to have to spend a day locked up in your hostel room, in your undies, with your thighs whitened with cream and walking like a cowboy! Most of us, man or woman, have experienced the major discomfort of super chafed inner thighs and are still on the hunt for a solution. I also tried Lanacane Anti-Chafing gel; provides a certain relief, but if you have to get back on the horse (figuratively or not!) 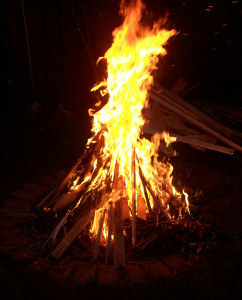 right away, the fire can come back rather quickly. I’ve also tried a variety of “baby bum” cream (if it’s good enough for the delicate skin of an infant, it can’t be bad! ), and though Zinc oxide cream (like Zincofax) and Vitamine E ointment aren’t bad, the best one was A & D Original Ointment (standing for Vitamin A & D). My mom always had a tube around and we used it as a magical cure for most minor skin rashes and it is, by far, the best cure I found to calm down and heal the chafing when it couldn’t be avoided. Skorts (skirts with “built-in” shorts) are not always a solution because the shorts are sometimes really loose under the skirt and often end up all stuck in a bunch between your legs, which will accelerate or increase the rubbing on your skin. Wearing bike shorts under your skirts can help, but in super hot weather, it could make you feel even warmer. Sometimes, you have to choose the least of two fires! Check out these well-designed anti-chafing shorts… This might be the answer to your prayers! I found that synthetic (polyester, microfiber) beats natural fibers in that case. Leggings or bike shorts made of a blend of mostly polyester with a touch of spandex will allow your thighs to glide relatively smoothly. It will spare you from showing your undies to everyone in case of wind of strange sitting. Synthetic also dries much faster, a definite plus; because it doesn’t retain too much humidity it’s ready to be worn relatively quickly after being washed. I heard that applying some antiperspirant on the inner thighs skin would avoid humidity, perspiration and, consequently, irritation. Any of you tried that? Any luck? I tried the antiperspirant tip… and it really makes a difference! I didn’t dare try for a whole day out yet and I focused on short outings. I would love to know your tips and suggestions about that, as I’m still looking for the ultimate prevention method! 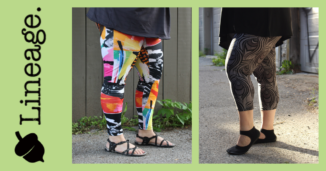 Lineagewear Leggings – #BestLeggingsEver ? Chub rub! I wear skirts all summer – I have several pair of bike shorts, and some lacy bloomers that are loose (which means I occassionally have to wiggle a bit to get them unbunched from my crotch.) Shorts are great but I started using stick deodorant/antiperspirant last summer, and it was great! Just rub on a coat in the morning, and it lasts all day. If I’ll be doing a lot of walking or it’s super hot outside I carry a travel-size deodorant for touch-ups. Love my deodorant trick! The best thing I’ve found is spray deodorant/antiperspirant. The rub-on kind works okay for me, but the aerosol spray kind is way better. Sometimes it “balls up” when it rubs right after I put it on, but then I just wipe it a little with a towel and it works great. I’ve tried it when walking a lot – I did one of those walk for 12-hours straight cancer walks over night – and it worked great! Its like a solid deodorant, just rub it on.